May Day, Park Day, Independent Bookstore Day, Kentucky Derby, and superb weather this weekend – many reasons to celebrate. 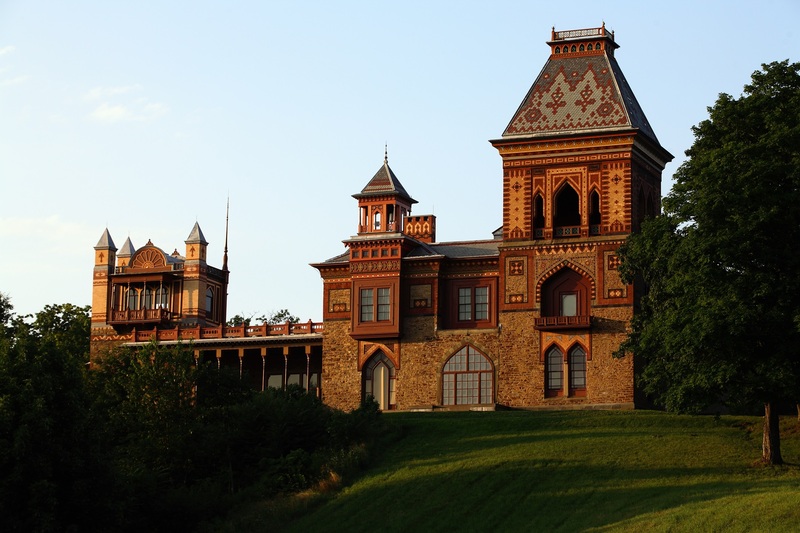 Thomas Cole National Historic Site in partnership with Olana State Historic Site are co-hosting River Crossings: Contemporary Art Comes Home, an exhibition that opens this Sunday, May 3 at both sites. The exhibition, featuring twenty-eight contemporary artists inspired by the works of Thomas Cole and Frederic Edwin Church, is the first major collaboration between the two institutions, and the first event since the 19th century when contemporary artists are invited to present their works in these settings. Artists such as Chuck Close, Martin Puryear, Lynn Davis, Cindy Sherman, Kiki Smith, Maya Lin, Stephen Hannock, and Jerry Gretzinger are among those featured in this show. For more information, visit http://www.rivercrossings.org/. Hudson Opera House in Hudson, Columbia County, is hosting a classical music concert this Sunday, May 3 at 3 p.m. Mozart and Friends: Musical Wonderland featuring world class musicians from the Preparatory Division of The Bard College Conservatory of Music: soprano Amy Palomo, clarinetist Nicholas Lewis, and pianist Renana Gutman. Talented young musicians will also perform under the tutelage of these accomplished artists, and will be exposed to performing in a professional setting. This is a free concert for the entire family. For more information, visit http://hudsonoperahouse.org/2013/11/30/bard-preparatory-division-family-concert-sunday-may-3-at-3pm/. 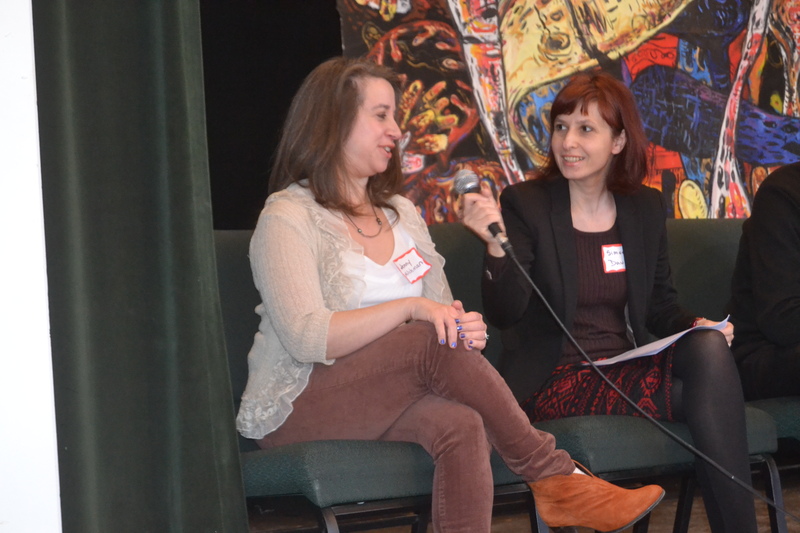 Writers in the Mountains (WIM) presents Writing Fiction Today – Literary vs. Genre Fiction: Real Distinction or No Difference at All? Sunday, May 3 at 1 p.m. at the Golden Notebook Bookstore in Woodstock, Ulster County. The event is co-sponsored by Glaring Omissions Writing Group, one of the longest-running critique groups in the Hudson Valley. Moderator Jenny Milchman will lead a conversation with panelists Elizabeth Brundage, Alison Gaylin, and Peter Golden as they question the foundation that lies beneath bookstore shelving, library categorization, and the ways we define words on a page. For more information, visit http://writersinthemountains.org/. Bardavon Theatre in Poughkeepsie, Dutchess County, is hosting a classical music concert this Saturday, May 2 at 8 p.m. featuring the Hudson Valley Philharmonic conducted by Randall Craig Fleischer. The orchestra will perform Brahms’ Requiem and Haydn’s Symphony No. 44. Over one hundred and fifty instrumentalists and singers will perform, including the Vassar Choir and Cappella Festiva directed by Christine Howlett. Fleischer will deliver a pre-concert talk at 7 p.m. For more information, visit https://bardavon.org/event_info.php?id=736&venue=bardavon. Bannerman Castle, located on Pollepel Island, in the proximity of Fishkill, Dutchess County, is an architectural gem built in 1901 by businessman Francis Bannerman. Bannerman designed the building himself. While the castle is currently under renovation, the island is open to the public by guided tours only. To embark on a tour, visitors meet at the Beacon Institute Dock. The first tour of the season will take place this Saturday, May 2 at 11 a.m. The tour is two and a half hour long. For more information, visit http://www.bannermancastle.org. Also, Vassar College is open for campus tours this Saturday, May 2 at 1 p.m. Lyle Lovett will perform at the Ulster Performing Arts Center in Kingston Sunday, May 3 at 7 p.m. Bard College Conservatory Orchestra is having the last concert of the season Saturday, May 2 at 8 p.m.